In this whitepaper we are going to discuss VoIP Enhanced 911 (E911). We will define what E911 is, provide a little history and review how it works. We will also cover how it affects VoIP service providers. Let’s begin by defining what E911 is. E911 service is a North American telephone network (NANP) feature of the 911 emergency-calling system that automatically associates a physical address with the calling party's telephone number. This emergency service has globally adopted a three-digit emergency telephone number to access this emergency service. The United States adopted 911 while the European Union uses 112. E911 is currently deployed in most metropolitan areas in the United States and Canada. During the onset of VoIP, the 911 system was not setup to handle voice over IP calls. 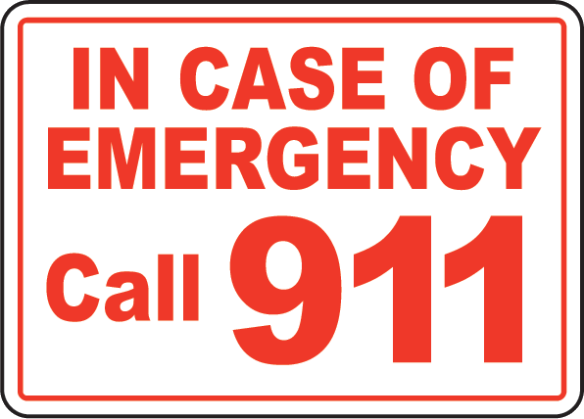 In this case, callers using VoIP service could not make a 911 call in the event of an emergency. This all changed on June 3, 2005, when FCC chair Michael Powell moved to impose 911 obligations on VoIP service providers. This meant service providers had to provide E911 services to the end user and they had to directly hook into the Wireline 911 Network, indirectly hook into a third party such as a competitive local exchange carrier (CLEC), or hooking in by other technical means. This move required VoIP service providers to start the process of interconnecting with the public telephone network. Location is important to the way that the E911 system works. Location is determined by the Automatic Location Information (ALI) database. The ALI database is used to both route the call to the appropriate Public Safety Answering Point (PSAP) and, when the call arrives, the ALI database is used to determine the location of the caller. The PSAP is the final destination of an E911 call, which is where the 911 operator sits. When a call is received by a 911 dispatcher the location information, street map that highlights the caller's position and the nearest available emergency responders is displayed on the dispatcher's computer-assisted dispatch system. How Does This Affect VoIP Service Providers? On June 3, 2005, when FCC chair Michael Powell moved to impose 911 obligations on VoIP service providers, this became a reality to all VoIP service providers. It was now mandatory for any VoIP carrier, who provides VoIP services to the end user/consumer, to offer E911 services. This new mandate created the start to the E911 service provider industry. What Does This Mean for VoIP Service Providers? It means finding a wholesale VoIP provider that can offer 911 services either as a bundled package or on a standalone basis is more important than ever. The key is not to find the provider with lowest pricing, but to find a provider whose service makes managing E911 less painful. Preferably, finding an E911 provider with a robust API, much like the one we’ve created for VoIP Innovations, with the ability to automate new registrations, editing existing registrations, and removing outdated registration. Even with strict penalties in place, there are still unregistered VoIP numbers. Just because they are unregistered doesn’t mean 911 calls aren’t routed. When an unregistered VoIP numbers dials “911” the call is routed to a national call center, where location information is gathered and local emergency services are notified. As you can see, this severely slows down first responder’s reaction time. It is highly recommended that all numbers be registered. These rogue 911 calls are typically billed on a per-call basis and can be quite expensive to the offending service provider. In closing, Enhanced 911 is a VoIP feature that you should be thinking about for your business. If you do not have E911 services assigned to your account, you could be causing serious drawbacks for your company. Rogue calls would be an expensive consequence and having a slow response from first responders could be even more detrimental. As we mentioned before, the key to finding the best VoIP E911 service provider is figuring out which one make it the easiest for you to manage.